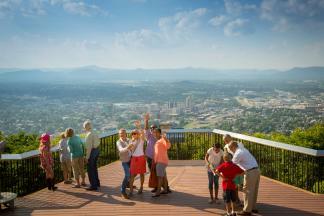 Cheers to the holidays in the Roanoke Valley in Virginia’s Blue Ridge Mountains! You’ll get caught up in the festive spirit of the season when you try these special holiday drinks from our local restaurants, bars and cafes. From traditional family favorites to modern cocktails, it’s all on the menu. 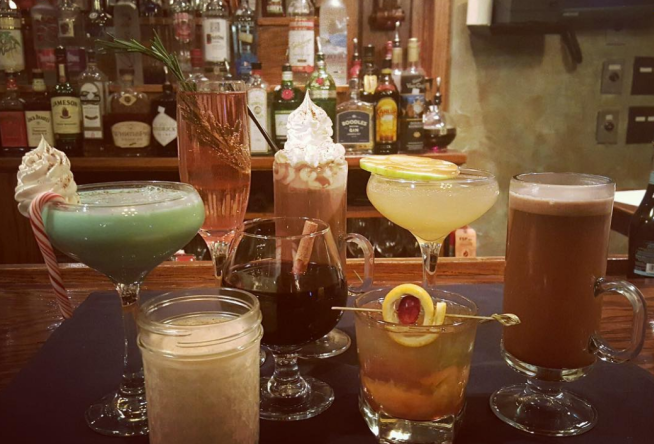 Here are 12 holiday drinks to enjoy in Virginia’s Blue Ridge. 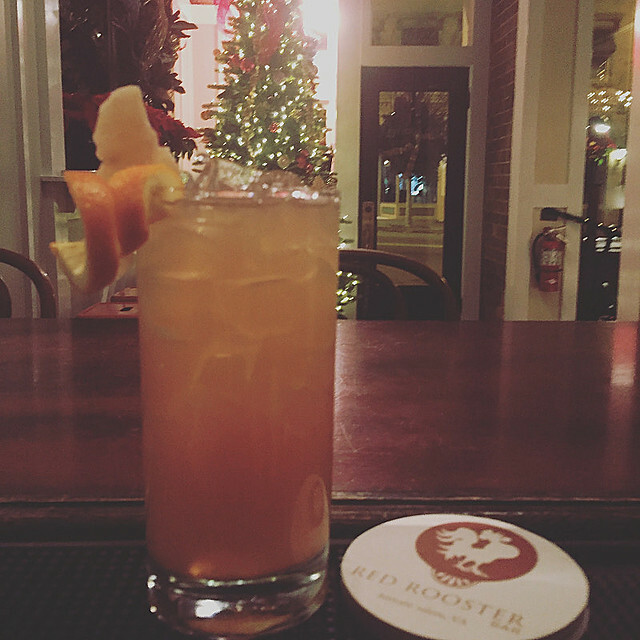 Share a Mistletoe cocktail with your special someone at Fortunato, an innovative Italian restaurant in Downtown Roanoke that features delicious food and creative drinks. This holiday cocktail has a base of Brugal Anejo Rum but also features Fortunato’s house-made Amaro for an extra twist of local flair. Whether you’re drinking it in the adorable shop in Franklin County or picking up a few bottles to take to your holiday gathering, the eggnog and custard from Homestead Creamery are sure to be crowd-pleasers. The classic eggnog is a mix of eggs, spices and the cream that has earned the Creamery a reputation as one of the best dairies in the Southeast. 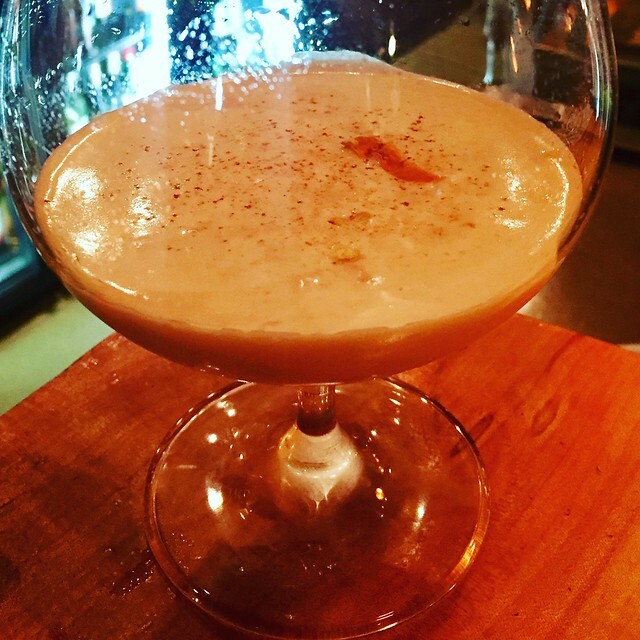 The custard is a rich, creamy, holiday drink with a similar consistency as eggnog but it offers a flavoring of vanilla instead of rum and spice notes. A Blue Ridge Day at the White Oak Tea Tavern is sure to be a holiday treat! Enjoy the tavern’s Wildberry Whole Fruit Wassail, which features their unique blend of wildberry whole fruit tisane. The blend is then steeped with whole cloves, cinnamon sticks and sugar, and topped with orange candy for extra sweetness. The River and Rail bartender Shane Lumpp offers his take on the holidays with The Griswald, a cocktail inspired by Christmas Vacation’s Clark Griswald. 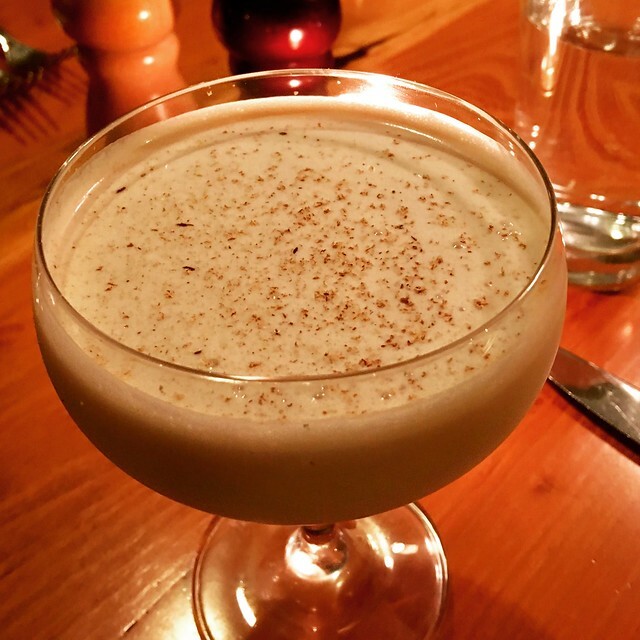 The drink is a cross between traditional eggnog and a flip and it includes the restaurant’s house-made bourbon vanilla ice cream. It’s light, smooth, and dangerously drinkable. Be careful, Cousin Eddie. 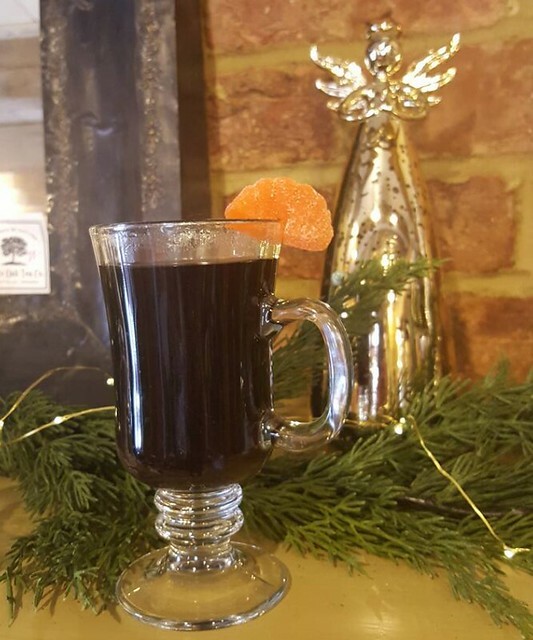 Baby, it’s cold outside, but you’ll warm right up with a glass of mulled wine at Billy’s. This flavorful drink is served hot and packs all kinds of flavor due to the long process of steeping the dry red wine with whole cloves and nutmeg, as well as the zest and juice of an orange and lemon. 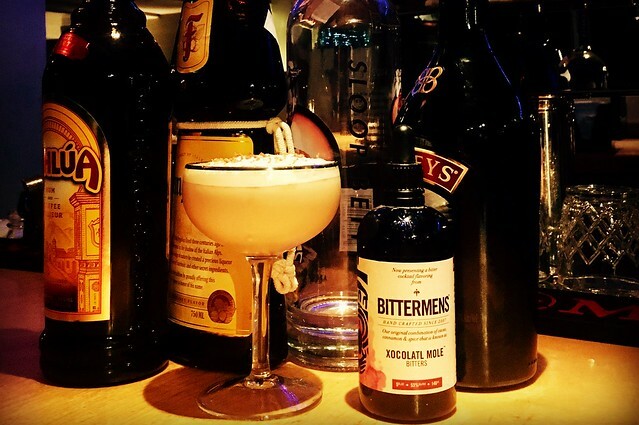 It’s one of many unique holiday cocktails on the menu at Billy’s. Begin your Blue Ridge Day with an eggnog latte at Sweet Donkey Coffee House. The drink combines locally-sourced Homestead Creamery eggnog with Counter Culture espresso and steamed whole milk, and it’s then topped with cinnamon for that perfect final touch of flavor. The Blue Apron Restaurant & Red Rooster Bar takes the traditional wassail recipe to another level for the holiday season with the Chanson. The wassail, a warm apple cider and citrus mulled drink, is spiked with French apple brandy and then spiced up with ginger beer. Hot chocolate and Girl Scout inspired cookies? These are a few of our favorite things! You can combine both with the spiked hot chocolate at Wasena City Tap Room & Grill! The restaurant offers three different options of its decadent hot chocolate - mint, caramel and toffee. We’ll take one of each, please! The talented team of bartenders at Lucky earn a spot on Santa’s nice list for creating the Kringle Flip for visitors to enjoy. 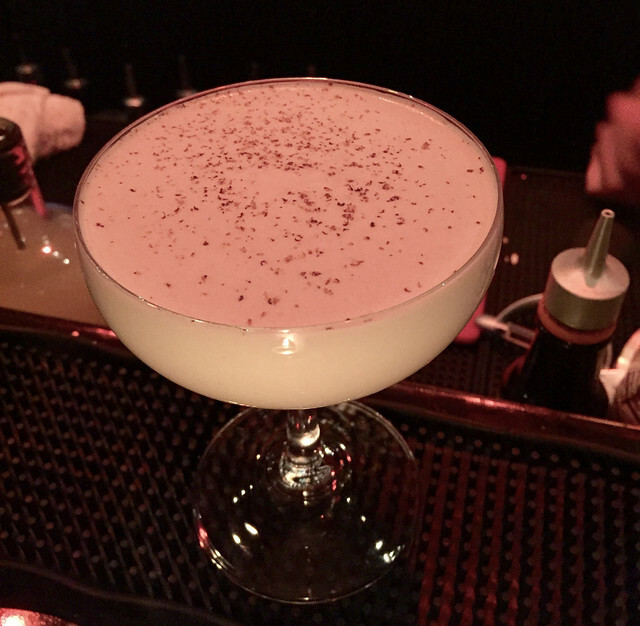 It’s a holiday cocktail that features Wild Turkey 101, Buffalo Trace Bourbon Cream, five-spice syrup, egg white, orange zest and ground nutmeg. 10. Sugar Spice & Something Nice - Metro! The Sugar Spice & Something Nice is a mildly spicy chocolate martini, which sure sounds nice to us. The bar at Metro! has an impressive selection of martinis throughout the year, and it brings the holiday season to life with this chocolate martini that’s topped with cappuccino foam and chocolate shavings. Update: Metro! is no longer in business. The Rivers Family Recipe Eggnog at Local Roots is a holiday drink but it could also double as dessert! This 200-year old family recipe packs a kick with its apple brandy and sherry, meaning it could be a great option for a drink before you spend an evening with those crazy in-laws. Why just eat a candy cane during the holidays when you can drink it in the form of a candy cane martini?! 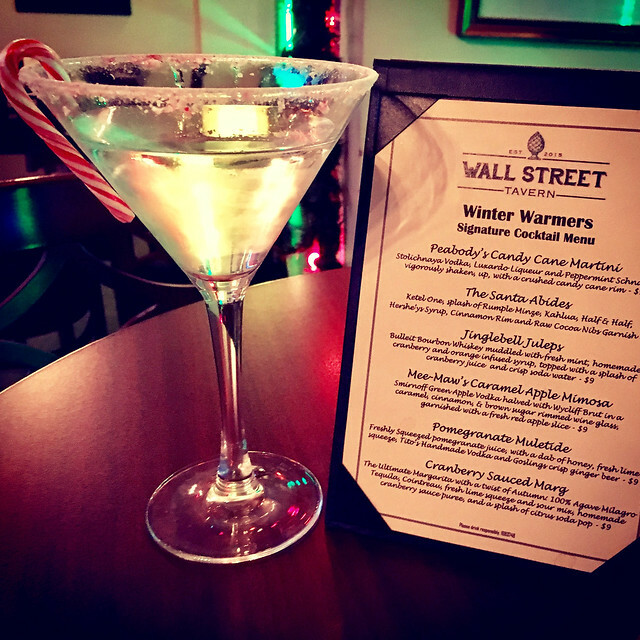 Peabody’s Candy Cane Martini at Wall Street Tavern features Stoli vodka, Luxardo, and Peppermint Schnapps, which are shaken and then served in a martini glass with a candy cane rim. 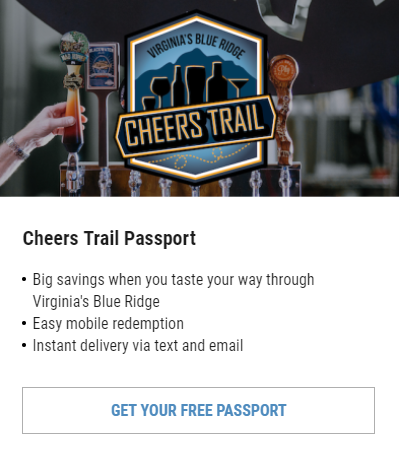 We can’t forget our craft breweries in Virginia’s Blue Ridge that join the fun with special holiday beers! 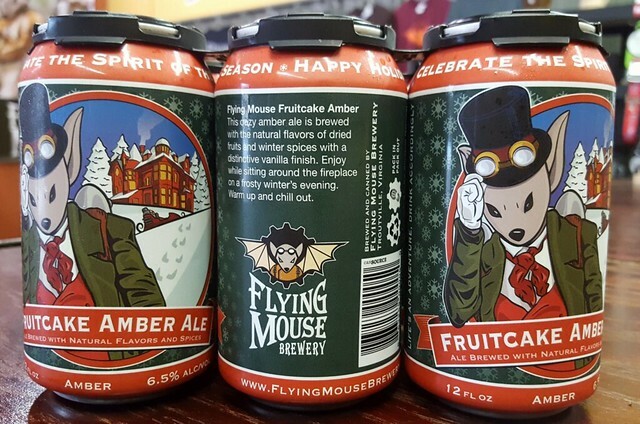 Flying Mouse Brewery offers a Fruitcake Amber Ale, a brew that includes four different kinds of dried fruit and five winter spices, creating a beer that “tastes like Christmas in a can.” At Big Lick Brewing Company, you’ll find the Saison Figolla, a beer that highlights the biscuit/almond flavors of a Figolla (Maltese holiday cake) with blood red orange and Meyer lemon zest. And Parkway Brewing Company is featuring A Moment on the Lips, a milk stout brewed with sweet orange and cocoa that highlights the classic holiday flavor of chocolate covered orange slices. We hope you have a wonderful holiday season in Virginia’s Blue Ridge and urge you to drink responsibly. Visit our Holidays section for more ideas on things to do during the holiday season and remember to subscribe to our monthly e-newsletter. Don’t forget to tag pictures of your favorite local holiday drinks with our #BlueRidgeDay hashtag!